The Portage Hunter Education Association and the Wisconsin Department of Natural Resources, in conjunction with the Portage Rod & Gun Club, will be conducting a Hunter Education and Firearms Safety Course in Portage. April 2nd-4th, 9th-11th. Field Day is the 13th and test night is the 15th. July 30th, Aug 1st, Aug 6th-8th. Field day is the 10th and test night is the 13th. There is no minimum or maximum age requirement. However the student must be at least 12 years old in order to purchase a hunting license, and be able to hunt, and the student must be at least turn 12 years old during the upcoming hunting season to receive the "free" benefits allowed first time graduates. State law requires that a person under the age of 16 to be accompanied by a parent or legal guardian while in possession of a firearm or bow and arrow unless the person has successfully completed a Hunter Education Course and is at least 14 years old. This law applies to target practice with firearms as well as hunting. No one under the age of 12 may hunt or possess a firearm. A Hunter Education Certificate is required for everybody born after Jan. 1 1973 in order to purchase a hunting license in the state of Wisconsin. 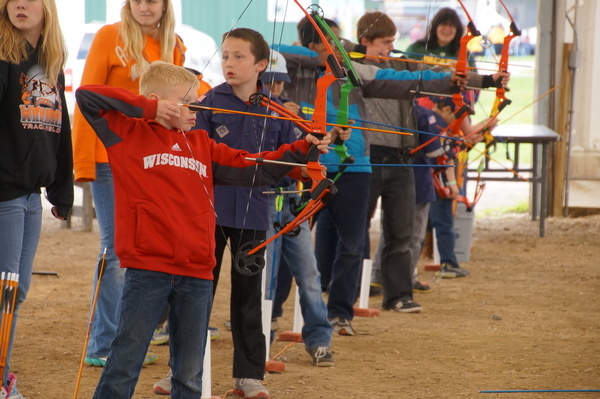 If planning a hunt outside the State of Wisconsin be aware that some states require a Hunter Education Certificate of all hunters, regardless of age, including nonresidents, in order to purchase a hunting license. 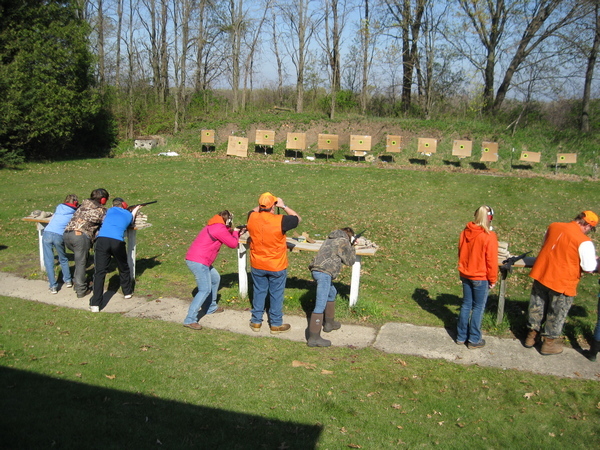 The Hunter Education Course contents include firearm safety in the home and field, first aid, survival, wildlife management, hunter ethics, hunting skills, and hunting and firearm safety law's. Firearms will be fired on the range but are not required to be provided by the students. Pre-register at the DNR website on the Hunter Education page. There will a $10.00 fee to be paid on the first night of class. The student needs there DNR customer ID number the first night of class as well. Students will receive a basic Hunter Education Graduate Certificate, and a distinctive embroidered emblem. First time graduates will also receive a free Small Game license, and a free antlerless deer carcass tag, good for the upcoming hunting season only. STUDENTS WITH SPECIAL NEEDS MUST CONTACT THE INSTRUCTOR AT LEAST TWO WEEKS IN ADVANCE OF THE COURSE TO REQUEST SPECIAL ACCOMMODATIONS. This is a picture of my turkey that I shot in the fourth season. I also want to thank you for being my instructor and to tell you that I'm having lot's of fun! This turkey had a 10 inch beard and weighed 21 pounds.